This new Pulse 24 has many similarities with the previous version, but there are some differences that help make it a faster and more powerful squonker. Let's start with the differences. It is shorter and now reaches a height of 23 mm without the drip tip. It is wider, with a diameter of 24 mm, now you have more space for activities. The construction bridge is still built in the postless 24k gold-plated variety, but now has an extra set of openings so you can cast 2 reels or just a giant. 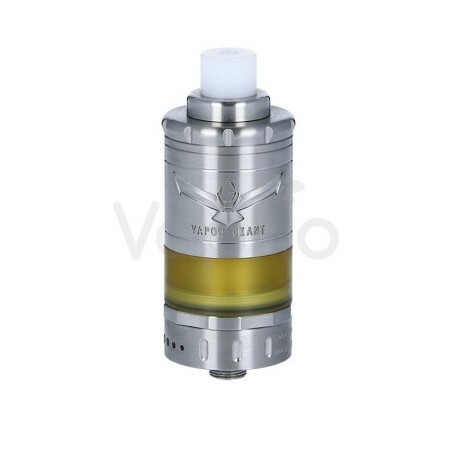 Double-sided tanks are still present but are now connected to a more efficient and elongated channel that sends the e-liquid on both sides. The Vandy Vape 24 BF RDA Atomizer is an atom Bottom Feeder powered from the bottom, with a gold-plated bridge, air flow regulation system, now with a diameter of 24 mm and can do it in dual coil. The gold-plated bowl can accommodate coils up to 10mm in length and coil in parallel positioning. The Pulse 24 uses the popular Drip Tip 810 system and comes with a Drip Tip in ULTEM widebore, a delb wide tip Drip Tip and a 510 adapter. The Vandy Vape Pulse 24 BF RDA has been designed to maximize the production of flavor and vapor.